STUNNING END UNIT CONDO IN THE VILLAS OF NORTHVILLE HILLS! THIS CONDO HAS BEEN IMMACULATELY MAINTAINED AND IS FINISHED TO THE NINES! OVER $120K IN CUSTOM UPGRADES. SPACIOUS FIRST FLOOR MASTER SUITE W/CUSTOM WALK-IN CLOSET AND ATTACHED BATH W/SEPARATE GARDEN TUB, OVERSIZED EURO SHOWER AND HIS & HER SINKS. 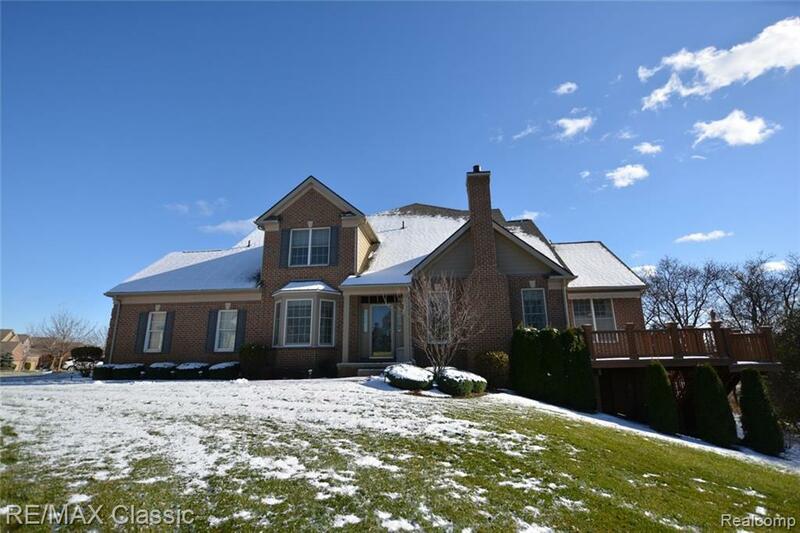 2 STORY GREAT ROOM W/GAS FIREPLACE W/CUSTOM SURROUND AND FRENCH DOORS TO DECK. GORGEOUS GOURMET KITCHEN W/42" CABINETS, CUSTOM BACKSPLASH, SS APPLIANCES (BRAND NEW REFRIGERATOR), GRANITE COUNTERS AND EAT-IN NOOK. FORMAL DINING ROOM W/CROWN MOLDING & BAY WINDOW. CUSTOM CALIFORNIA CLOSETS THROUGHOUT CONDO. HUGE LOFT AREA OVERLOOKING GREAT RM. FINISHED WALKOUT LOWER LEVEL W/LARGE REC AREA, 8' CEILING, WET BAR, MEDIA CENTER W/BUILT-IN DESK AND EXERCISE RM EASILY CONVERTED TO 4TH BEDROOM. GARAGE HAS CUSTOM CABINETS. SECURITY ALARM AND SURROUND SOUND. LARGE DECK W/RETRACTABLE AWNING PERFECT FOR ENTERTAINING!